Independent shops can be one or multiple locations. 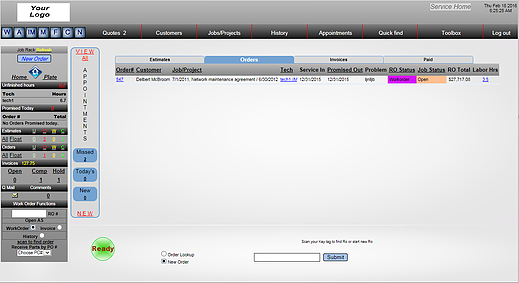 ServiceMAX1 is a complete service management, manufacturing package, including: Service Management, Parts Inventory, Financials, Marketing and Client services. ServiceMAX1 is designed to be the most versatile and transparent product you can have and is available to run as a "SAAS" web based tool a or "plug and play" appliance housed on your premises. Contact us for a free demo of ServiceMAX1. Comments: Clerk side of it is simple to use. We have had a few glitches with it, which are fixed easily. On the other side management some things are hard to figure out but I think with more training and understanding of the program it would be a lot easier. Most confusion it seems is not understanding how to work it properly. Can't give a view of the overall program cause we don't use all aspects of it.